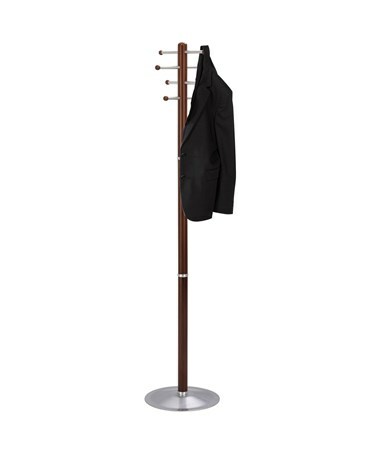 With the classy look, the Safco 8-Hook Wood Coat Rack is a great addition to any office or home setup. It features a 69 inches long wooden frame that holds eight steel hooks. Each hook has an oversized ball tip to prevent garments from falling and damaging and has a weight capacity of 10 pounds. 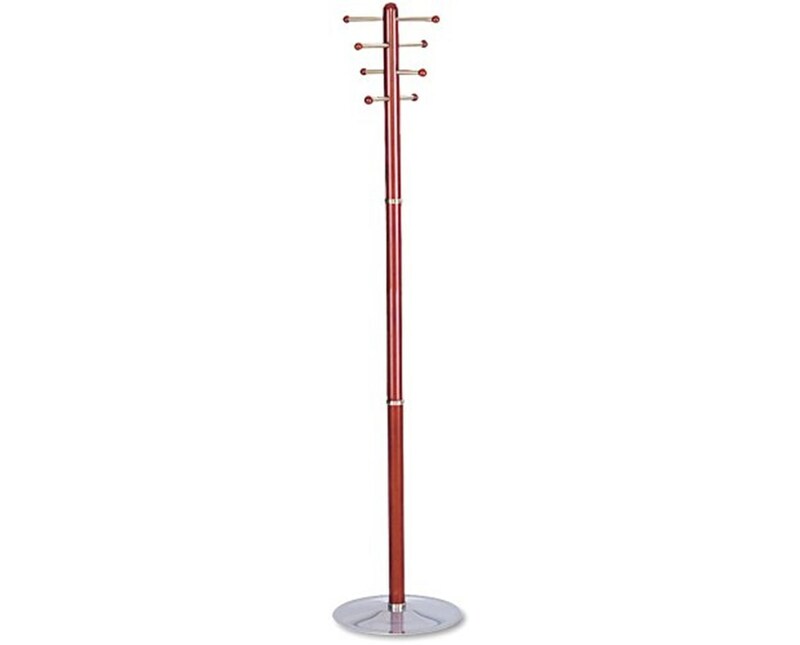 It stands firmly on the 15 inches diameter steel base. 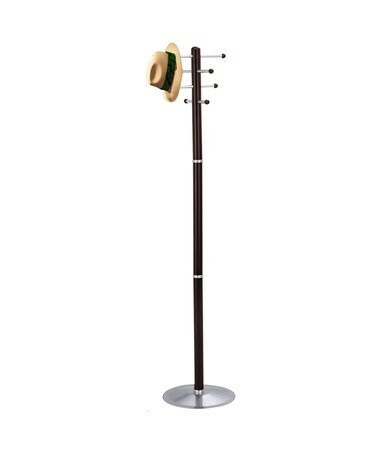 The wood stain and brushed aluminum finish give it a stylish look and added durability. 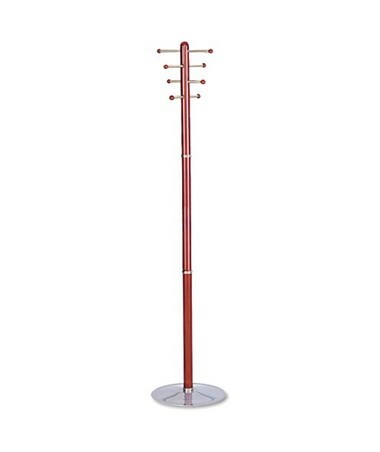 The Safco 8-Hook Wood Coat Rack is available in two different colors. Please select your preference from the choices above.